The climax of the film “Saving Private Ryan” is set in a village in Normandy, a few days after D Day. A small group of American paratroops are under attack from all directions by German heavy tanks, and are saved by an air attack. Saving Private Ryan is fiction. However, on 9-10th June, four days after D Day, in true life, a similar drama took place in the village of St Pierre separated by the river Seulles from the town of Tilly Sur Seulles. On 8th June the 8th Armoured Brigade seized the high ground North of St Pierre, Point 103 in a rapid move. The reason for the significance of Point 103 is that it gives good visibility to the South, despite the hedges of the bocage country. This move coincided with the attack North by the Panzer Lehr division, the best equipped of the German Panzer divisions. This formation had 250 tanks and assault guns and could mount all its infantry in the 635 armoured half track APCs it possessed. Over the next five days the fighting would rage around St Pierre and point 103. 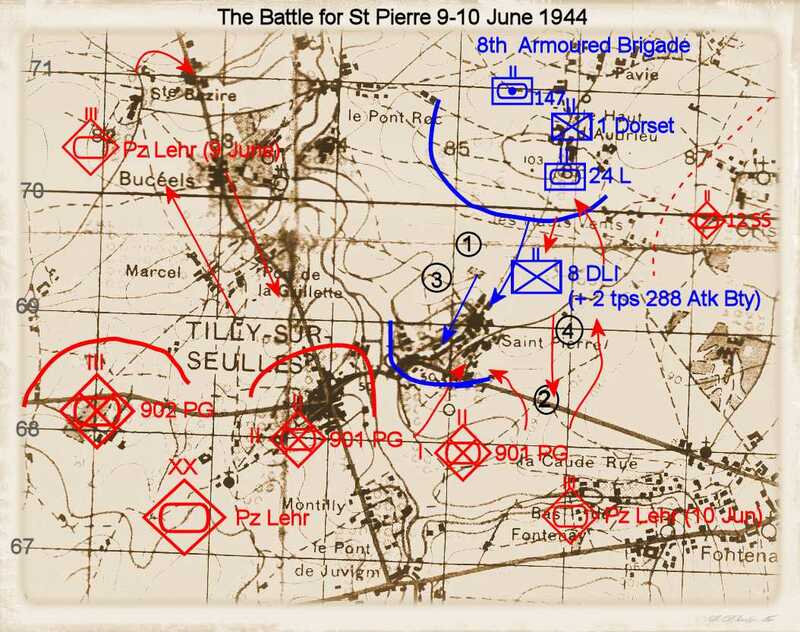 During the evening of 9th the 8th Battalion Durham Light Infantry, supported by the 24th Lancers and 147 Field Regiment captured St Pierre where they were joined by two troops of 288 Anti Tank Battery equipped with 6 Pdr guns. The route to St Pierre South from Point 103 was over bare slopes and the troops in the village were subject to attacks from three sides. On 10th June the Germans attacked St Pierre shortly after first light at 0700 hours. This was beaten off by 8 DLI with the support of 24 L and 147 Fd Regt. St Pierre was partially overrun, one of the FOO’s Lt Sayer, was killed and Maj C H Gosling, BC 511 Bty and three other FOOs were wounded. The tanks of the 24 Lancers withdrew up to Point 103 to take up hull down positions. Throughout, Lt Brameld, the troop commander had remained forward, giving advance warning of the approach of tanks. At one point Brameld found that there were enemy tanks out of range of his 6 pdrs. He borrowed a 17pdr Sherman from a neighbouring armoured regiment and directed its fire from outside the tank whilst under small arms fire, until at least one and possibly two enemy tanks were destroyed. For this action he was awarded the Distinguished Service Order (DSO). (4) At 1130 hrs, to prevent the counter-attack being resumed, 147 Fd Regt surrounded St Pierre with defensive fire, while Air OPs directed the fire of HMS Orion and Argonaut on to targets in the area Tilly-Juvigny-Fontenay-le-Pesnel and fighter-bombers attacked German reinforcements moving towards Tilly. Later the same day 10 June the Panzer Lehr division launched an armuored attack on point 103, leaving 8 DLI surrounded in St Pierre and engaged the battalion from the North before returning South. The fighting stabilised with the British holding St Pierre and the Germans holding Tilly with the river Seulles dividing the armies. The story of the anti tank gunners at St Pierre is largely missing from accounts of the battle of Normandy. 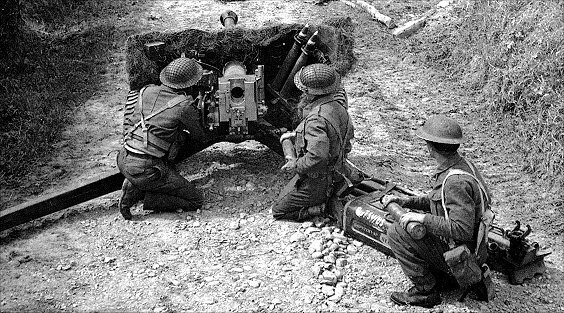 The fighting around St Pierre is one of the battles covered in the battlefield studies undertaken by the Cadets at the Royal Military Academy Sandhurst, but the anti tank gunners have not formed part of the story. They aren’t in the history of 8 DLI. They aren’t even in the war diaries of 8 DLI or 102 Anti Tank Regiment, which illustrates the fallibility of war diaries. The author of the cabinet history of the Normandy campaign (CAB 44/246)collated from war diaries refers to the uncertainty about the identity of the anti tank battery in support of 8 DLI only mentioned as 288 battery in the 8th Armoured Brigade War Diaries. The citations for the awards for Lt Bramald, Sgts Down and Seaton, Bdr Hinder, LBdr Gilmour and Gnr Beresford were all recommended by the CO 102 Atk Regiment commanders and supported by the CRA 50 Div, and approved by the GOC 50 Div and Corps commander. There is a need for the story of the anti tank gunners to be told properly. There has been an academic debate about the proportion of anti tank gunners and their role started by the paper by Dr John Peaty entitled “Ubiquitous and Unnecessary? Anti-tank and anti-aircraft artillery in the NW Europe campaign. (6) That is a question which is loaded in the absence of a proper account of their contribution. The action at St Pierre was controversial. Brigadier James Hargest, the New Zealand observer to 21 Army Group, wrote a report before his death in action in August1944 which was very critical of the British infantry. He wrote that 8DLI ran away and ther village had to be retaken. The report is heavily quoted by Carlo ‘Este and Max Nastings in their books on the Normandy campaign. It is obvious from the citations that there was an unauthorised withdrawal by some infantry, and this would have been known by the divisional and corps commanders. This does not mean that the story in the DLI Regimental history wrong, merely that it isn’t the whole truth. The fact that some infantry ran, does not detract from the deeds of those who stayed to fight or counter attacked. 8 DLI took nearly 200 casualties in the battle. Eight MMs and an MC were awarded to the battalion for this action.. This article arose from research undertaken to complete the Official History of the Royal Artillery in the Normandy Campaign started by the late Major Will Townend. Philip Fullard: The“highest scoring” footballer of the Great War. Philip Fletcher Fullard was born in May 1897. As a school boy he played as a centre half for Norwich City’s reserve team, but by 17th November 1917 at the age of , aged 20 he was one of the leading British fighter aces serving in No 1 Squadron RFC. Since joining No1 Squadron RFC in May 1917 he had shot down forty enemy aircraft. At that time only four fighter pilots had shot down more aircraft. Baron von Richthofen had shot down 60, Georges Guynemer 53, Werner Voss 48 and Albert Ball 44. He joined the army in 1915 after leaving King Edward VI’s Grammar School school Norwich and qualified as a pilot in December 1916. He was a natural athlete who captained his school’s Hockey and football teams. He had an aptitude for flying which was reflected inhis first appiontment as a newly qualified pilot – to instruct others during the spring of 1917. He joined No1 Squadron RFC in May 1917. 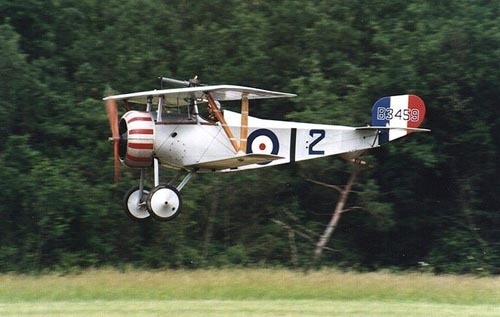 His squadron flew what was by 1917 an an obsolescent aircraft, the Nieuport 17. With this he took on faster and more heavily armed enemy aircraft. Overt the Summer of 1917 he was part of the Allied air effort to secure air superiority over the Ypres Salient. Without air superiority Allied spotter aircraft could not find the enemy or spot artillery fire. Whatever the failings and costs of the 3rd Battle of Ypres, the air battle was a success for the Allied air forces. His achievements as a fighter pilot did not go unrecognised. (1) He was awarded a the Military Cross, (MC) twice, and the Distinguished Service Order (DSO) The citations for these awards refer to his “conspicuous gallantry and devotion to duty when engaged in aerial combat.” The number of occasions on which he attacked and destroyed enemy aircraft; his fine leadership, great dash and determination to close with the enemy. His DSO recognised that “as a patrol leader and scout pilot he was without equal” and mentioned that “the moral effect of his presence in a patrol is most marked.” Not merely a fighter ace, but also a good leader. However, even by the time his fighting career had ended Guynemer, Voss, Ball were already dead and by the end of the war, von Richthofen, and November 1917 by the end of the Great War von Ricthofen, Mannock, McCudden , McElroy were all dead as well. Philip Fullard was the second highest scoring British ace to survive the Great War. The footballing injury which ended his career, it also may have saved his life. While Fullard does not attract the same attention as other sportsmen who fought in the Great war, flying as a fighter pilot was statistically more risky than winning a VC. Fullard stayed in the Royal Air Force after the end of the Great War and rose to be an Air Commodore, serving as a staff officer and commander in the Second World War. He retired form the RAF in 1949 and died in 1984. This may make him unique footballing statistic for a second reason. As well as being the only man who have played football for a for a second reason. As well as being the only fighter ace who played football for an English League club, he might also be the footballer who has achieved the highest rank in the armed forces. The Museum of the Great War, Pays de Meaux, is in the Town of Meaux, pronounced “mow”- to rhyme with “toe”. This, the first French National museum dedicated to the Great War 1914-19, is one of the big investments by the French government to commemorate the Centenary and cost 28 million Euros. 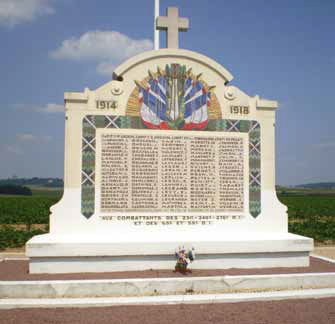 It is sited a short distance East of Paris, close to Disneyland, on the 1914 battlefields of the Marne. Close by are the places where French troops deployed by Paris Taxis. The BEF withdrew through Meaux towards the end of the long retreat from Mons. It’s a short distance from the sites of the scattered engagements that made up the 1914 battle of the Marne and not too far from where the French and American troops halted the Germans in 1918. 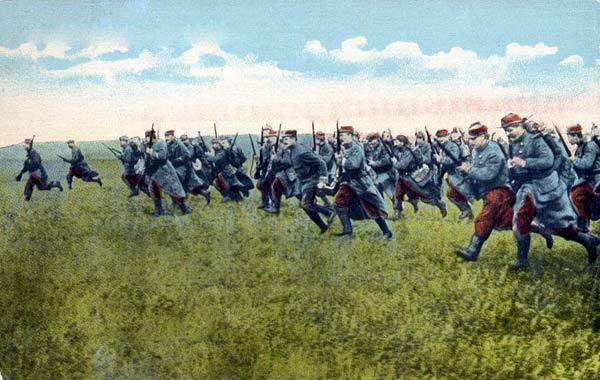 The battles that take place in the Marne are very important parts of the Great War. They are the turning points of the war, where the Germans were beaten back in 1914 and in 1918. There are narratives to be told about how the British Army saved Paris, France and Europe in 1914 and how the Americans saved Paris , France and Europe in 1918. It is also a place to hear about the French Army of 1914 and the battle to save Paris, to contemplate the French sacrifices for their country from 1914-18. The Great War Museum at Meaux is very good as a “Museum of History and Society”. 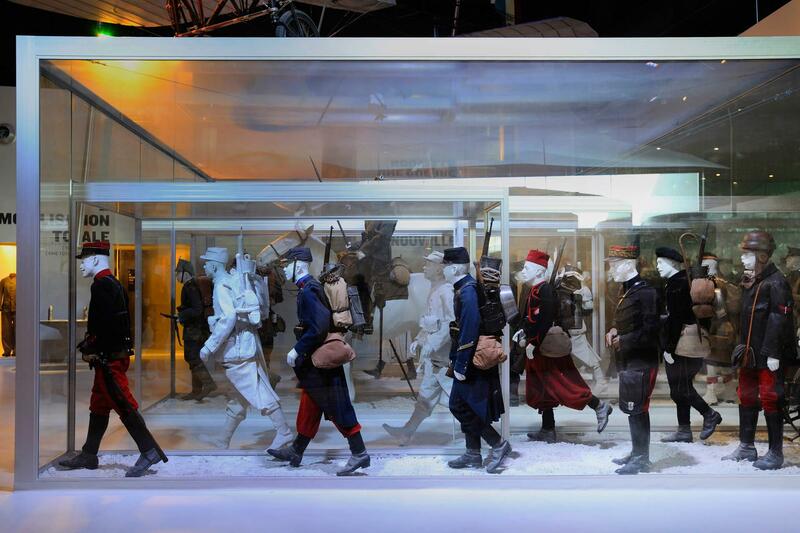 It is a museum about the Great War as seen by the French. It is not an interpretation centre for the battlefields in the area. It is based around the collection of Jean-Pierre Verney, which is particularly strong in the artefacts from the American Army, the AEF. It has a few big pieces of equipment, mainly selected to illustrate the contrast in technology between 1914 and 1918; pigeons and wireless, a Paris Taxi and a Renault tank. A lot of thought has gone into the interpretation, and I was particularly impressed by the way they have designed the exhibits to be experienced by the blind. Thus there are handling collections throughout the museum. Cases with manikins displaying uniforms and equipment are supported by statues extending out of the display case for people to feel the the shapes. It’s not without its limitations. It is not geared towards telling the story of the British or Americans in France. and while exhibits are labelled in French English and German, there is no English language guide book or supporting materials for British or English speaking schools visitors. The collection lacks many of the kinds of pieces with historic provenance that are the highlights of the Imperial War Museum. It has no equivalent of the battered gun and limber from F Sub of L Battery, nor the gun served by Jack Cornwall. If Charles Peguy was a special type of intense, intellectual Frenchman hard to envisage as a British hero, then David Graham Muschet “Soarer” Campbell is a Briton straight out of an Edwardian adventure story. A professional solider and amateur sportsman, he played cricket and polo well and won the 1896 Grand National riding “The Soarer”, from which he gained one of his nicknames. Twice wounded in the Boer War, he was the commanding officer of the 9th Lancers in 1914. On 24th August at Elouges, he led his Regiment in a charge over sugar beet fields in the industrial landscape outside outside Mons at the start of the Retreat. On 6th September 1914, the day after Peguy died, at Montcel 35km south east of Meaux, Campbell led two troops of the 9th Lancers to overthrow a squadron of the German1st Guard Dragoons, in what was the start of the BEF’s advance on the Marne. The Regiment’s doctor found Cambell “sprawled in a patch of clover a revolver wound in his leg, a lance wound in his shoulder, and a sword wound in his arm”. Despite this, Campbell told the doctor “I’ve just had the best quarter of an hour I’ve ever had in my life! 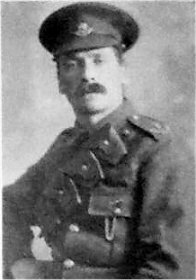 Four months later Campbell returned to the BEF to command a cavalry brigade and was wounded a further time in May 1915 by the same shell which mortally wounded the poet Julian Grenfell. He survived his wounds to command the 21st New Army division on the western front, as a far from stereotypical British general officer. The Marne area was never as devastated as the Somme, Aisne or Artois and many of the villages retain buildings from the time. One of the village cemeteries has the loopholes where the soldiers of the 45th Algerian Division fortified themselves. It is easy to see how the fighting unfolded. 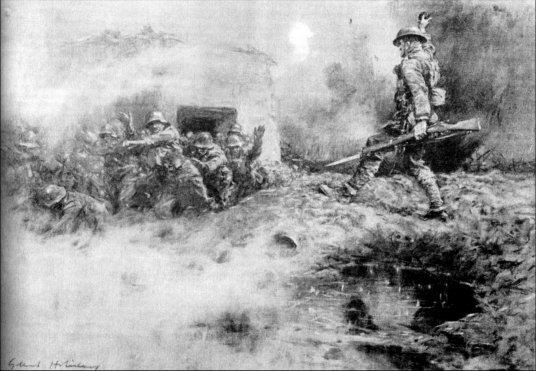 The fighting in the Marne was very different from the trench warfare that is normally associated with the Great War. It was a war of manoeuvre and cavalry charges. There are great stories about the people who fought that can make this tale of interest to a general British or American audience. But it needs a battlefield guide who can bring history to life from a British or US point of view. There seems to have been no reason for him to have been preparing to go over the top with the 4th Battalion the Worcestershire Regiment on the 9th October 1917 near Langemarck in Belgium. Fred had already done his bit, joining the battalion in Gallipoli in September 1915, and since then serving for over a year in France. His battalion formed part of the “Incomparable” 29th Division, which had participated in many of the most bloody battles of the Great War. After Gallipoli the 29th Division, and the Worcesters with them served two tours on the Somme. Their red triangle is prominent at Newfoundland Park on the Somme and the Division had already taken part in two “big pushes” in 1917; at Arras in the spring and at the capture of Langamarck in August. Private Fred – known by his nickname of “Dando” was the HQ Company sanitary orderly – the man who emptied the lavatories. This was an essential but undistinguished task, and one which could have kept him from the worst dangers. 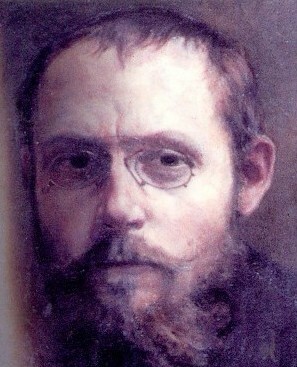 However, Fred Dancock had apparently volunteered to join the attack and was to the “mopping up party”. This party of ten men would search each captured position to make sure that there were no enemy hiding and able to shoot the advancing allies in the back. Fred Dancocks’ courage was recognised with the award of the Victoria Cross. His was the first VC to a man from Worcester. He wrote home to say that he was given leave to return home and receive the medal from the King on the 30th November. Worcester prepared to celebrate the homecoming of the local hero in style: bunting was put up and alongside the Dancox family waited civic dignitaries, reporters, and hundreds of local people. He did not arrive. Another brother, Henry Dancocks, survived the war having served alongside Fred in the 4th Battalion the Worcestershire Regiment. That left Ellen with three dependent children in a world before the welfare state. King George wrote to Ellen to express his sincere regret that Fred’s death had denied him “the pride of presenting to him in person the Victoria Cross.” The City of Worcester established a public fund for Ellen Dancox, and made an initial donation of £50. In February 1918 the council minuted that ‘subscriptions were not coming in very satisfactorily’, but eventually a total of £451 was subscribed (which, in 2007, would have had the purchasing power of over £15,000). .The city council bought the medal from the family. Their house in Bull Entry was demolished in a slum clearance programme during the 1930s. Besides the VC, Fred Dancocks and his brothers represent a loss as significant to their families as the Johnson’s reported in the Mail or the Niland Brothers whose story inspired the plot of Saving Private Ryan or the fighting Sullivans. The fact that none of these men has a known grave makes their fate particularly poignant. Yet relatively few people hear of or commemorate the Fred Dancocks and his brothers. Dancox House, a sheltered accommodation facility in Worcester city centre, is named after him. In 2006 the Worcester and Herefordshire branch of the WFA erected a memorial to Fred Dancox VC close to Namur Crossing. It is only a short detour from the German cemetery at Langemarck. I first heard the story of Fred Dancocks and his brothers from Major John Cotterill who has championed the cause of the memory of the Worcesters for as long as I have known him and am grateful to him and for the work carried out by the Regiment by the local community for the information in the links which are the sources for this tale, which is worth telling and sharing. Poetry and music are very much part of the British story of the Great War. But what did the Germans sing? Unstäte Fahrt! Habt acht, habt acht! Die Welt ist voller Morden. Weit wallt und wogt der Hader. 3.Rausch’ zu, fahr’ zu, du graues Heer! Rauscht zu, fahrt zu nach Norden! Was ist aus uns geworden! With shrill cry, northbound rangers. And world is full of dangers. You squadron grey and mighty. Far o’er the lands below ye. Rush on to Northlands safety. What will my fate have made me? Fly south and sound our Amen. There are parallels with Flanders Fields in that it was written in the field and contrasts the war with nature. It touched a Germanic nerve for romanticism when coupled with the tune by Gotz and is claims to be the most popular soldiers song of the German army of the Great War. After the Great war the song was adopted by the Wandervogel movement of ramblers and hikers and other youth organisations – and the the Hitler Youth. It was a standard of the German soldier-songbooks of the Wehrmacht – with the references to the Kaiser changed..
and the school of quartermasters! Is there any other song of the Great War which is still sung? For ten years from 2000 -2010 every soldier who joined the army as an senior entry soldier took part in a Realities of War Tour to Ypres (modern Ieper) in Belgium. A whole generation of soldiers will have heard of the story of “the bayonet charge that saved the British Army.”, made by the 2nd Battalion the Worcester Regiment, Far fewer will be aware of the gunners who supported them. On the 31st of October the Germans Army nearly won the First World War. They had assembled an overwhelming force of artillery and battered a hole in the British front line East of Ypres at a village called Gheluvelt, on the road between Ypres and Menin, the Menin Road. The only British reserved were the 2nd Battalion the Worcester Regiment, and they mounted a gallant bayonet charge which stopped the Germans and allowed the British line to recover, but at the cost of one third of their number. But they did not do this alone. They were supported by the Gunners, and in particular by a heroic and skilful action by 54 Dragon Battery, which was one of the batteries which became 129 Dragon Battery, currently part of 4th Field Regiment Royal Artillery. According to an infantry officer nearby “Lt Blewitt of 54 Battery came up to say to his battery commander that the Germans appeared to be bringing a gun to the barricade in the middle of Gheluvelt and asked permission to take an 18 pounder onto the road and deal with it. Having got permission, he manhandled the gun onto the road. The German gun fired first and missed. Blewittt did not give them a second chance. He put a stop to any trouble from that quarter for the rest of the afternoon. 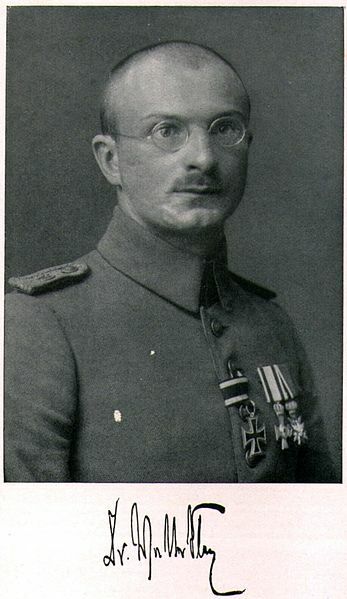 If the Germans had pushed home their attack during the afternoon there was nothing to stop them.”” Lt Blewitt was awarded the DSO for this action. His letters are in the Imperial War Museum archives. At the time his letters home gave no hint to his family and fiancé of the dangers he ran or his heroic and skillful acts. The German infantry in Gheluvelt. was the 16th Bavarian Reserve Regiment, most famous for one its soldiers, the 19 year old Adolf Hitler. . .
1Gunner (Local Bombardier?) Alfred Priestley, husband of Nancy Priestley of Preston is commemorated on the Menin Gate. See where this happened and contact Gunner Tours! Who Checks the UK Newspaper Obituaries? The Obituaries columns sometimes disclose fascinating facts about someone’s past life. In particular when you discover that a celebrity had a heroic military history. But over Christmas the UK Obituary writers seem to have been watching too many old movies judging by what was written about Charles Durning the prolific American character actor who died on Christmas eve 2012 and was a WW2 veteran. For much of his career he said little about his military service, but in recent years he appeared with and supported US WW2 Veterans. Although Durning himself didn’t say much about his experiences, contradictory stories about his service abound. For example, Durning himself spoke publicly about landing on Omaha Beach from a landing craft on D Day, Burt Reynolds, in episode “S03E09” of the television chat show Dinner for Five, revealed that on D Day Durning was in a group of gliders who overshot their landing zone and that he had to fight alone all the way back to the beach. The US press, with a strong ethos of fact checking seem to have been quite circumspect about the details of his war service, beyond a reference to D Day. Not so the obituary pages in the UK broadsheets. What were the sources that these newspapers used? How did they manage to write such conflicting stories? Anyone who has tried to check the veracity of these war stories quickly discovers that there isn’t anything much that corroborates them. The stories of Charles Durning’s war service don’t add up, because most of these were some of the tall tales that have surrounded old soldiers since Centurion was a rank not a tank and Pontius Pilot was only a navigator. Because Charles Durning was a Hollywood character, his old soldier’s stories had wider currency than most, but that doesn’t make them a proper part of his obituary. The Durning family merely states that he was a war hero and a beloved family member. I am sorry for their loss, even at the end of what seems to have been a long and full life. Well written obituaries can dignify a life. However, I am not sure how the UK Press have added anything dignified to the memory of this man’s military service. Or have they all outsourced their obituary columns to lazy freelancers? Be Proud to be a Pongo! For as long as anyone can remember, British soldiers have been traditionally nicknamed “pongos”. If you ask a sailor, marine or airman where the nickname comes from, they might tell a lame tale: “soldiers are in the dirt and so they are where the pong goes”. But that is not a very convincing explanation. It sounds a little contrived, as a secondary explanation for a term after the original understanding has been lost. The answer could lie in the Napoleonic wars and a foreign land. One legacy from the British Army’s overseas campaigns has been the fragments of foreign language which have been adopted as slang. For example, a key French phrases to be mastered by a British soldier of the Great War was to ask for an alcoholic drink. “Vin blanc” as mangled by a Tommy led to “plonk” entering the English language as a slang for for cheap white wine. During the Napoleonic wars the British Army was based in Portugal from 1807-1814. The Portuguese word for bread is written “pão”, and pronounced “pong”. We know that the Peninsular War soldiers used the term “pong” as there is a letter from a soldier complaining about the lack of “pong”. One of the distinctive differences in service between the sailors and soldiers of the time is that sailors lived on biscuit while, in the peninsular at least, the army lived on bread. So a sailor meeting Wellington’s Peninsular soldiers, and hearing them complain about the quality or quantity of “pong” might reasonably refer to soldiers as pong-goes – bread eaters. So maybe, when the jolly jacks and the crabs call soldiers “Pongos” its not an insult. Its a reminder of the British Army’s traditions and the men who beat old Boney’s men over the hills and far away, in Flanders Portugal and Spain..
..and the next puzzle is which Indian term for a snack gave rise to the term “Egg banjo” for a fried egg sandwich. Why did the Gunners want to bombard Langemarck Church? admin on Where Were the Current Day RA Regiments and Batteries on the First Day of the Somme? Natalie Dawkins on Where Were the Current Day RA Regiments and Batteries on the First Day of the Somme?